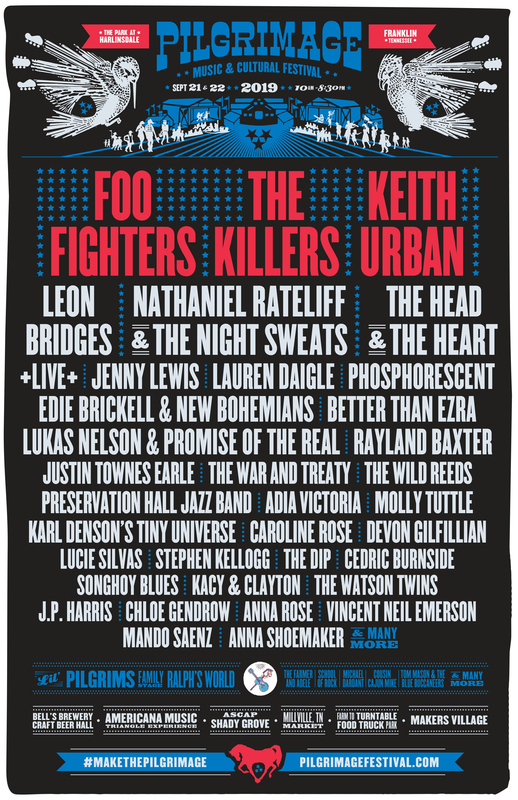 FRANKLIN, Tenn. (WTVF) — The lineup for the 2019 Pilgrimage Music and Cultural Festival has been announced and it includes some big name headliners. The two-day festival will take place on September 21 and September 22 in Franklin. “Pilgrimage truly showcases all that middle Tennessee has to offer: all genres of music, the best artisans and makers and incredible cuisine all in a family-friendly atmosphere that ends by 8:30 p.m. each night,” shares Pilgrimage partner and Better Than Ezra co-founding vocalist, guitarist and songwriter Kevin Griffin. This comes on the heels of the 2018 festival that encountered evacuation challenges during bad weather on Saturday evening last year. The muddy field conditions at the Park at Harlinsdale Farm in Franklin were declared unsafe on Sunday morning so the event was canceled for the day. Event organizers said they spent over $67,000 repairing the grounds after last year. Kevin Griffin, Brandt Wood, and Michael Whelan are festival organizers. They don’t plan on moving the festival to a different spot. Event organizers realize some vendors and festival goers left last year— disappointed. First, they’re making communication improvements. Second, they’re planning on bringing in mobile phone towers for WiFi and better signal. And lastly, they’re adding more off site parking spots and additional evacuation sites. Passes go on sale Friday at 10 a.m. Click here for more information.